Having a Halloween party this year? Want to make all of your neighbors jealous? Or are you just looking for a classy twist on the typically dark & ominous Holiday? 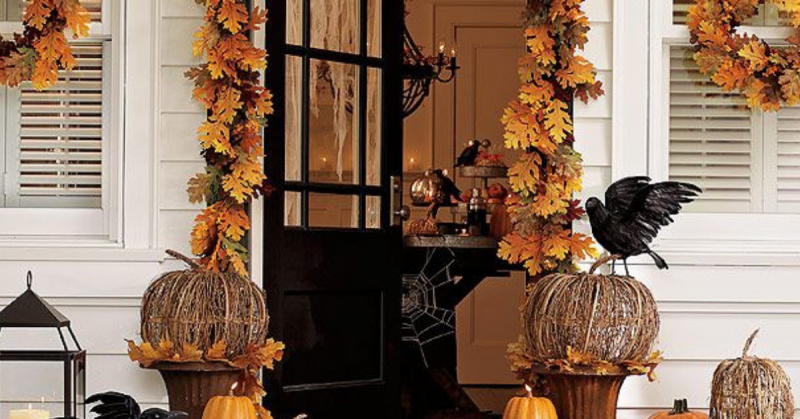 Check out these classy, but spooky tips for this year’s Halloween decor! First, it is imperative that you consider what direction you’d like to go. Do you want this to be Dracula’s lair or a playful pumpkin patch? It all starts with the entrance to your Spooky Spectical. Instead of over-cluttering your entrance with countless chachkies, consider dimming the lights to draw more attention to the detail oriented pieces of your set up such as your Jack-O-Lanterns. Designing a haunted house for a Hollywood blockbuster is one thing, but when creating a tasteful experience it’s best to keep the spider webs to a minimum as they can make a space seem smaller than it really is. This tends to take away from your elegant pieces. Utilizing a tasteful wreath helps pull everything together. Try to make sure that your wreath has each of the colors of your theme incorporated in some fashion. Further, pull things together by focusing on symmetry on each side of the wreath. When you use different sizes of pumpkins, it forces the viewer to scan the different shapes & sizes that you have presented with your pumpkin arrangement. Pro Tip: Using different color pumpkins in conjunction with your multiple sizes is a tasteful & eye catching treat! From gummy worm filled Oreo pudding (Dirt) to crawly cocktails, there are many different ways to satisfy your guests once they have complimented you on your eerily elegant home-front. For your cocktail hour, try using rosé, ice cubes & miniature spiders – Poison Punch. And for your spooky snacks, try using biscotti, icing & chocolate to make Boo-scotti. Ready for the big night? Use this checklist to make sure your haunted house is “Howard Hanna” safe!